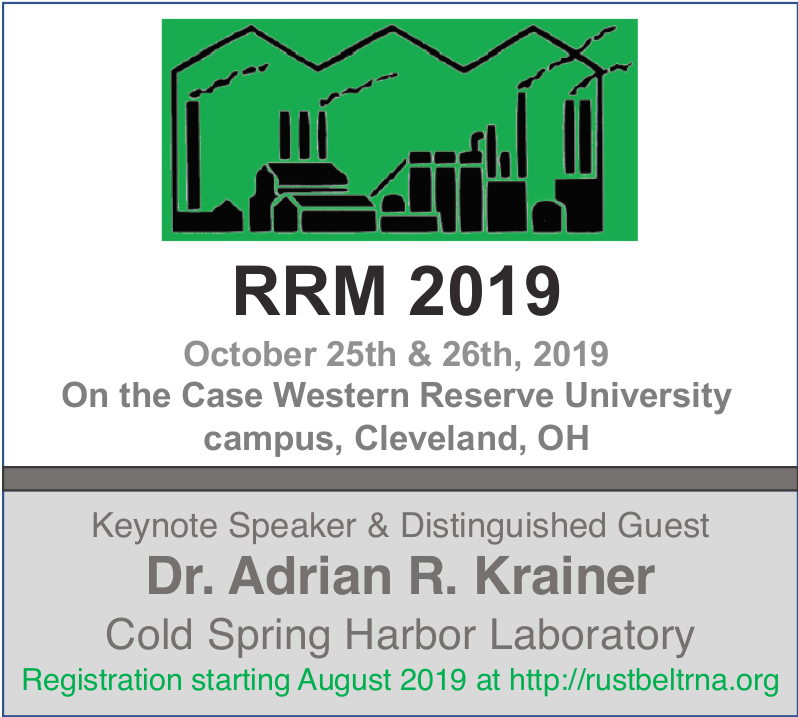 The Rustbelt RNA Meeting (RRM) is a regional scientific meeting that gathers scientists from throughout the Midwestern and Mid-Atlantic United States to discuss RNA-related biomedical research. The meeting is designed to encourage the sharing of ideas and the development of new collaborations. The primary mission of the RRM is to provide unique opportunities for junior scientists. The meeting predominately features oral and poster presentations by undergraduate, graduate and postdoctoral trainees. The RRM has received generous support from the National Science Foundation (NSF) and many corporate and academic sponsors. This support allows the RRM to provide a high caliber meeting at an affordable cost to its attendees. In a continual effort to encourage trainee participation in the meeting, the RRM provides free room accommodation to all trainees. Held annually since 1998, the RRM attracts top-quality participants from prestigious research-intensive schools. Although the RRM draws regional participation from the Midwestern and Mid-Atlantic United States, it welcomes participation from anywhere in the United States.